We also tailor group workshop for students. 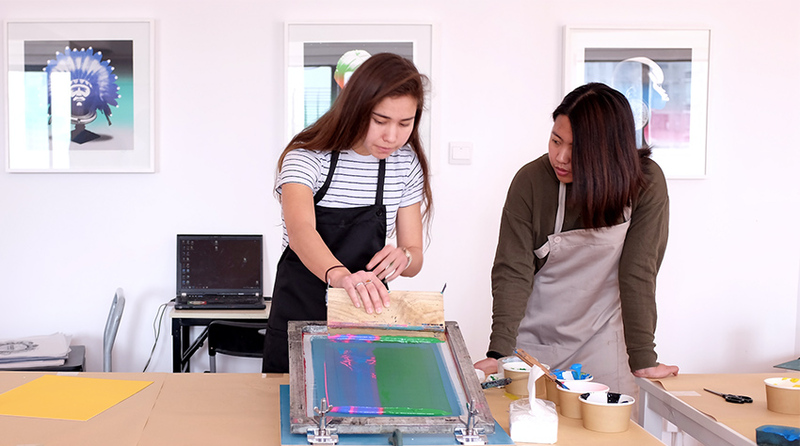 At our studio with a professional set-up, students can work in groups or individually, and go through every step of print making: from creation to screen exposure, to hand screen printing. This bilingual workshop is hosted by IdleBeats' artists, who will be answering questions about creation and print making throughout the program.